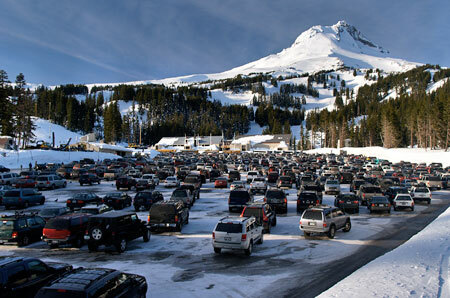 On January 13, the Mount Hood National Forest (MHNF) issued its final environmental assessment for yet another sprawling parking lot at the Mount Hood Meadows ski resort. This is the just the latest decision over nearly 50 years of always finding a way to say “yes” to the private permit holders who operate the Meadows resort on our public lands. According to MHNF documents, the proposed new “Twilight” lot will require 9.4 acres of subalpine forest adjacent to the popular Elk Meadows Trailhead to be logged, then paved over by the Meadows resort, allowing for 878 new parking spaces on a new 7.2 acre asphalt lot. Translated to urban scale, that’s another seven full Portland blocks of forest that will be replaced with paving simply to meet peak winter weekend demand. Using Forest Service data, the Twilight proposal translates into roughly 7,500 noble fir, mountain hemlock, Lodgepole pine and other subalpine conifers being cut to bring the overall parking capacity for the Meadows resort to a whopping 3,526 vehicles. How much parking is this? For comparison, a typical Walmart Supercenter has about 800 parking spaces — which means the total Meadows parking capacity could accommodate four Walmart Supercenters. Another comparison: the new Meadows parking total will be slightly more than the 3,300 spaces Portland International Airport (PDX) provides in its newly expanded day parking structure at the main terminal (see an earlier article on this blog for more details on the Twilight proposal). Meadows also plans to move its Nordic Center — currently a non-descript modular building located at the back of the sprawling Hood River Meadows lot — to the new Twilight Lot in an effort to better compete with the non-profit Teacup Lake Nordic Club, located across the Loop Highway. Is this latest expansion justified? Not if you dig into the details. The folly in the MHNF decision is that it is based on an outdated special permit granted in 1997 by the Forest Service that gives the Meadows Resort their legal ability to operate a private business on national forest land. But it turns out that almost no current data on the future of the ski industry supports this decision — including data from the ski resort industry, itself. Instead, this proposal is mostly about the Meadows resort attempting to buck the national trends by drawing skiers and boarders away from competing resorts at Timberline and Mount Hood Ski Bowl. While this strategy might make sense for Mount Hood Meadows, Inc., it hardly makes sense as public land policy, and especially for taxpayers who subsidize the ski resorts. The recent Forest Service decision giving the green light to the Twilight parking expansion also fails to consider the most obvious solution: requiring Meadows to spread out their customer demand with peak ticket pricing. This is the simplest way to avoid overbuilding parking lots and overburdening the Loop Highway, and would make the best use of the Meadows resort capital investment and operations costs. For more than a century, ski resorts across the country have long promoted the inevitability of their rapid growth as part of the advertising pitch, and yet they have a troubling secret in common: snow sports that were once growing exponentially in popularity are now flat or declining, nationally. And this trend has continued for decades. Instead, most of the touted “growth” at major resorts in the past 30 years has come through consolidation. At the beginning of the 1980’s, there were some 727 ski resorts in operation, nationwide, yet only 480 ski areas survive today. 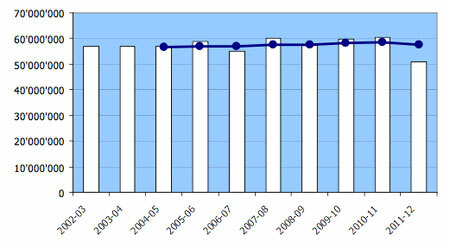 This represents a decline of 33 percent, despite a hefty 36 percent increase in the U.S. population for the same period. This decline also helps explain why all three major resorts on Mount Hood are looking to develop other attractions under their public lands permits to help sell lift tickets — most recently, the proposed bicycle play park at Timberline (Ski Bowl has already developed one that it now plans to expand). Why the decline? A variety of factors are at work, not the least of which are the effects of climate change on snowpack and the ballooning price tag that has increasingly made skiing a sport for the affluent. In study last year, the National Ski Areas Association (NSAA) reported that 54 percent of day visits came from households earning more than $100,000, a 12.5 percent increase among affluent skiers from just five years ago. Conversely, visits from households earning less than $100,000 dropped from 52 percent to 46 percent, an 11.5 percent drop for less affluent skiers over the same period. This trend is not surprising when you consider that an annual pass at Meadows costs around $800 and day passes cost $74 for an adult ticket — and these are relatively affordable prices compared to premier Rocky Mountain and California resorts. Add the costs of gas and equipment, and it can cost a family hundreds of dollars to spend a day skiing on Mount Hood. In 2008, the NSAA produced a study that had more ominous implications for the industry: they found that 85% of beginners who try skiing soon drop out of the sport, translating into only a 15% rate of “conversion” from beginner to regular skiing and snowboarding customers. In response to this troubling finding, the industry adopted dual goals of (a) improving the total number of people trying the sport by 6 percent and (b) increasing the “conversion” rate from beginner to regular visitor by 1 percent per year. Despite industry efforts to meet these targets, in the six years since these goals were established the rate of new skiers staying with the sport has only increased by only 1 percent, far short of the retention target. 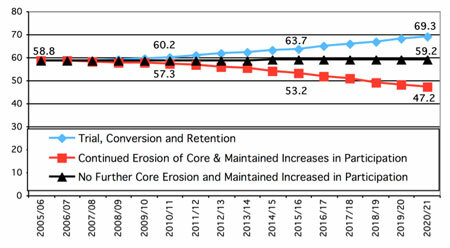 But there is even worse news in the NSAA findings: it turns out the existing base of regular skiers and boarders have also shown a decline in interest, with the rate of repeat resort visits from this core group decreasing by 6 percent since the industry targets were set in 2008. While the resorts continue to fight the overall drop in visitors, they are also battling the elements. 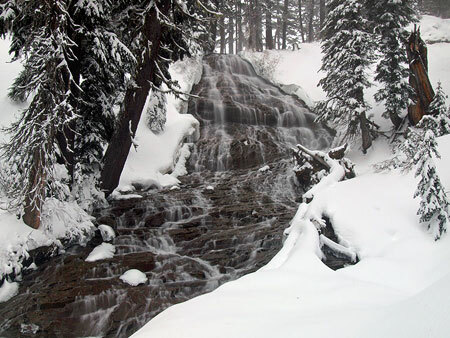 Climate change is producing an increasingly erratic snowpack across the country, but especially in the West, where resorts are largely built with special permits on public lands. Larger resorts are spending as much as $50k apiece for snow guns to create their own snow — with some resorts installing hundreds of snow guns to ensure a ski season. With the obvious environmental implications of snow making aside — and they are significant — the added cost burden for the resorts will only increase the price of skiing when the costs of snow making equipment, water and the energy needed to pump water uphill are passed along to skiers. Given these discouraging national trends, are there better solutions to meeting peak ski resort demand at Mount Hood other than to continue paving over the alpine landscape? This question will be the focus of Part 2 this article, and a new effort by the Oregon Department of Transportation to better manage traffic on the Loop Highway. Author’s Note: lest readers think I’m anti-skiing, I am decidedly not. I grew up skiing at Mount Hood from the age of six, and skied at all four resorts on the mountain well into the 1990s, when I shifted to snowshoeing and Nordic skiing. I love the sport, and hope that Mount Hood will always have alpine skiing. But over the past few decades, I have watched the Meadows and Timberline resorts grow too large to be environmentally sustainable. The Heather Canyon lift at Meadows was the wake-up call for me in the 1990s — and before that, the Palmer Lift at Timberline. 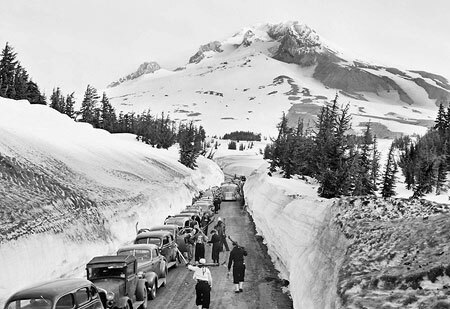 Both were a notch too far in what — in my view — had been a reasonably sustainable balance between ski development and protecting the natural landscape of Mount Hood. 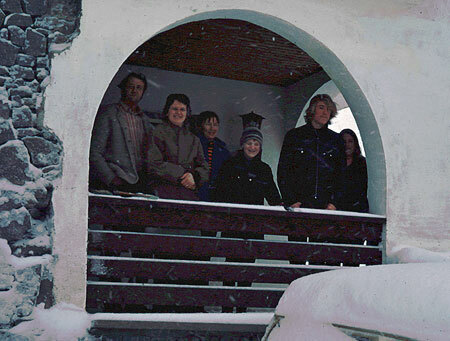 I also see the current model for commercial ski resorts failing, and worry that the grasping for quick solutions to balance the corporate books is out of sync with what could be sustainable, positive ways to diversity the resort offerings. Watch for future WyEast Blog articles on this subject, as I not only believe that ski resorts can (and must be, in Mount Hood’s case) continue to operate within a National Park, I also think they could set the standard for environmental and economic sustainability that other resorts might learn from. This entry was posted on February 9, 2014 at 11:05 pm and is filed under Cultural History, Natural History. You can subscribe via RSS 2.0 feed to this post's comments. Tom…minor note in third line of first paragraph: This is the just latest… Always enjoy your articles and research! Brent. Thanks for an eye opener! Perhaps after this dismal ski season, MHM will reconsider. I enjoy your writing and photos! Meadows is already way too crowded – season passes cost 450$- they sell way too many ! On weekends the lift lines have been the longest ever – they have been shuttling people from welches and parkdale as the lots are full by 10am. They are ruining the experience for everyone at this rate. Sure heather hasn’t been open to spread folks out more but still. 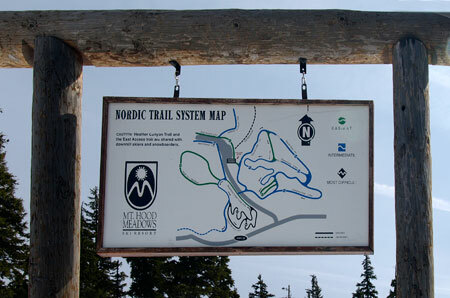 They should improve the Nordic center but leave it right where it is. They also don’t open the HRM lodge till 830- way too late. What a zoo. Not at all, Connie – much appreciated! The proposed Twilight parking lot is unnecessary in several facets. First, as Andrew points out, MHM is already over capacity on the few peak weekends a year that the extra parking would be needed. Uphill capacity simply does not exist. 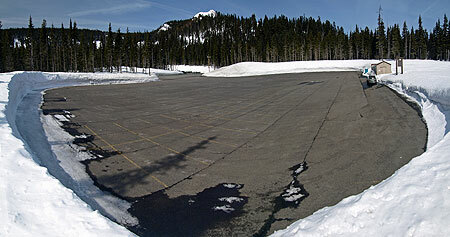 Until MHM undergoes significant terrain and uphill capacity expansion, the Twilight annex parking lot is not needed. While some national surveys detail the decline of small ski areas and shifting demographics, the local trends remain healthy. A visit to the Mount Hood ski areas attest to the continued popularity of alpine skiing and the growing number of participants. 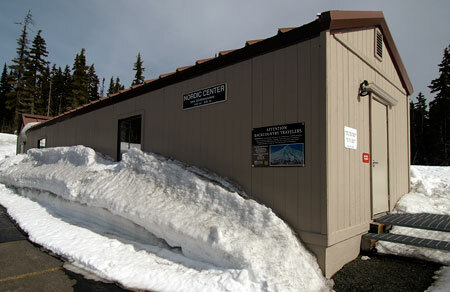 Of greater concern is the continued efforts of MHM to block the proposed Government Camp to Timberline gondola. This would the most efficient means of reducing traffic impact on Mount Hood, especially in the delicate sub-alpine zone. MHM needs to be called out and criticized for this self serving and backwards thinking strategy. Unfortunately, it is being facilitated by our US Forest Service via a land swap. Alpine skiing is and will remain a vastly popular, and likely growing, recreational pursuit on Mount Hood. Ultimately, crowding will lead to pricing increases until an equilibrium is found between supply and demand. For the immediate future, the Twilight parking annex should be shelved and the Government Cap to Timberline gondola should go forward with further planning and cost analysis. Paving forest to alleviate a few days of parking overflow is nonsensical. It benefits the gapers who struggle to get out of bed and arrive late to the mountain on those few peak days. And, of course, it benefits Meadows which would make more money on ticket sales. But, paving forest surely does not benefit the majority of Oregonians. Highway 26 and 35 are already overcrowded and dangerous on peak days. And, Meadows’ lift lines are already amongst the worst in the country. Why would any skier support the decision to increase capacity for even more skiers and, therefore, even more traffic and longer lift lines?